Apply advanced analysis to your customers’ debit card activity to detect anomalies. As more consumers use debit cards as a preferred payment method, both personal and card data are reaching unprecedented heights of vulnerability. The ongoing EMV rollout only adds pressure on institutions to develop better measures to protect against card fraud. Verafin’s innovative debit card fraud detection alerts you to abnormal activity involving your customers’ cards. Verafin analyzes your customer base to find debit card purchases made at a location, within a specific date range, that has experienced card transactions you have deemed as fraudulent. Verafin supports real-time debit fraud analysis, allowing you to review activity as soon as possible and take the necessary actions. Discover when a customer’s card is experiencing potentially suspicious usage. Verafin analyzes ATM and online activity, as well as local, out-of-state, and international purchases to alert you to card usage that is unusual for your customer. Debit card fraud is a common way in which people take advantage of your elderly customers. Verafin considers the age of your customer, in addition to numerous other factors, to alert you when suspicious card activity is potentially elder abuse. Verafin’s advanced analytics uncover patterns of activity to detect common point of transaction (CPT) for debit card fraud. CPT detection can determine where a potential data breach or potential skimming incident has occurred and lets you find the cards that may have been used. With Verafin’s analysis of ATM and POS activity and the ability to enable real-time analysis, you have an added layer of security against attacks orchestrated by criminal organizations. 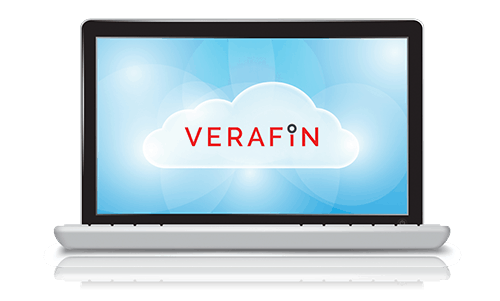 Interested in learning more about Verafin's Card Fraud Solution?